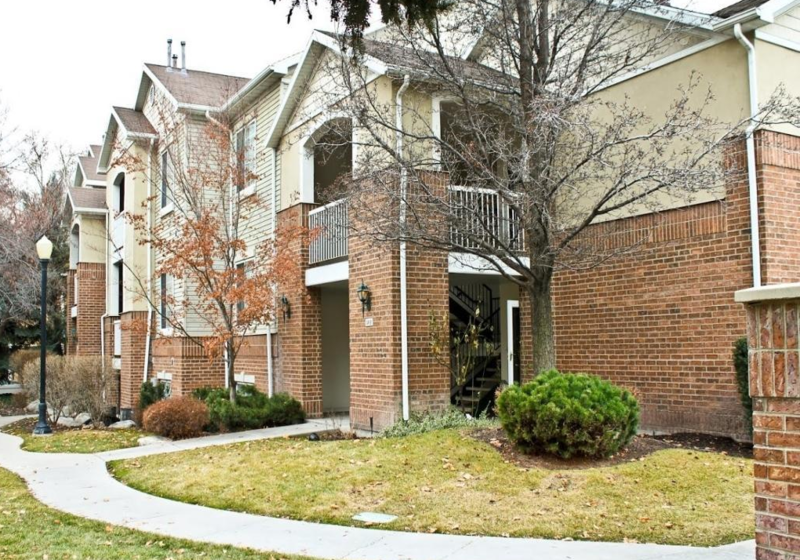 Trolley Regent fits an interesting niche in the Salt Lake City Condo Market. As of this article there are no condominiums for sale here. Click this link for an update. Its location, 150 S 800 E has advantages. It’s close to the 4th South hub of businesses and the Trax stop. It is close to the U. It has great bus routes access. It is close enough to the University of Utah that a lot of owners purchased to be close to it. Some owners like to rent to students. I sold one unit here where the buyers were from out of State, had a son at the University, and wanted a place to stay when visiting him. Price was important to them and this range fit their budget. This photo gives you an idea of the structure, 3 floors of units. The stairway goes up two flights and down 1/2 a flight. The lower level can seem dark inside which will drive the price down and conversely the upper floor has high ceilings and feels light and roomy. Five units sold in the last year: $225,000 to $237,500 for the four 2 bedroom units and $270,00 for the 3 bedroom that sold. So prices are low enough to be meaningful. As mentioned there are none for sale at this time but usually there is one on the market. The condo fees are very low comparatively to many Salt Lake City Condominiums: $150 for the 3 and $136 per month for the two bedrooms units. Each unit has a small garage and their is plenty of not covered parking for a second car. Although the 2 bedroom units seem small by size, 950 square feet +- the floor plans are such that you don not feel cramped. The kitchens are well designed and the living area is off the kitchen. I have never felt like these units were too small. Trolley Regent was built in 1995.